Catch live NCAA Basketball for Team Ontario alumna Bridget Carleton’s homecoming game in her hometown, Chatham. 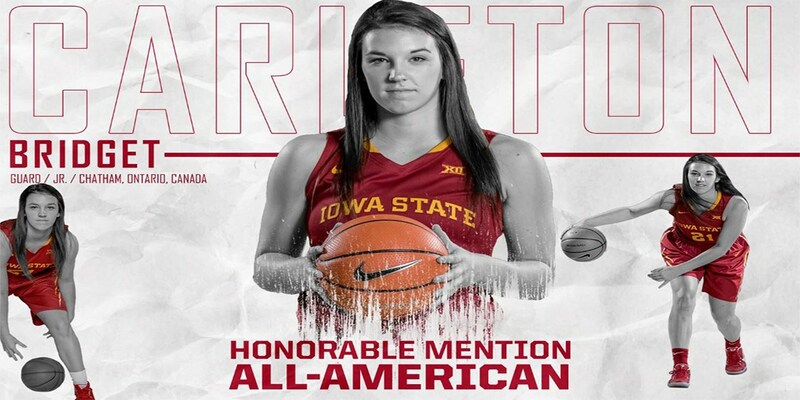 Carleton, a senior for the Division 1 Iowa State Cyclones, was named an honorable mention All-American by the Associated Press last season. This exciting event is likely to sell out, so buy your tickets today! E-mail IowaStateChathamWildcats@gmail.com for tickets. Payment can be made by e-transfer to Chatham-Kent Wildcats Treasurer. Written on 2018-10-25, in News.